Volkswagen has struck a deal with the US authorities over some 80,000 VW, Audi and Porsche cars with 3-litre diesel engines. The agreement is another step towards allowing the German car maker to put the emissions cheating scandal behind it. In June VW agreed to a $15bn (£12.1bn) settlement for another 475,000 vehicles affected by the scandal. The new agreement will cost Volkswagen an estimated $1bn, US authorities said. US District Judge Charles Breyer said owners of the 3-litre cars made between 2009 and 2016 would get "substantial compensation" for having them fixed or repaired. However, there were some remaining issues to be resolved and another hearing will be held on Thursday, he said. VW spokeswoman Jeannine Ginivan said the deal was "another important step forward in our efforts to make things right for our customers". The firm admitted in September 2015 to installing secret software in 475,000 US 2-litre diesel cars to cheat exhaust emissions tests and make them appear cleaner in testing than they really were. They emitted up to 40 times the legally allowable pollution levels. The $15bn settlement in June covered those vehicles, including an offer to buy them all back. 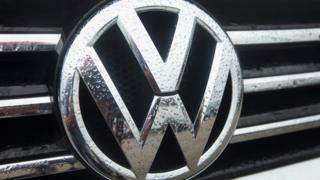 The US Justice Department said VW had agreed to contribute another $225m to a fund to offset excess diesel emissions. In a separate filing, California's government said the company would increase the number of electric vehicles it sells in the state. Robert Bosch, the German engineering firm that made the software for the VW diesels, has also agreed in principle to settle civil allegations at a cost of about $300m.